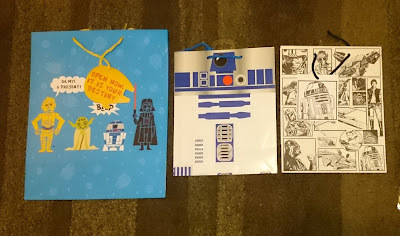 I was sent a great big box of Star Wars goodies to review from Hallmark celebrating Star Wars month. Hallmark do a huge selection of Star Wars goodies - a fantastic range of greetings cards for any occasion, the ones that particularly caught my eye are the 3D 'shelfie' style Chewbacca & Darth Vader cards, as well as the pop out box card. Most importantly, they feature all of your favourite characters. I'd say they are ageless too, not just for kids, so suitable for fans of all ages. 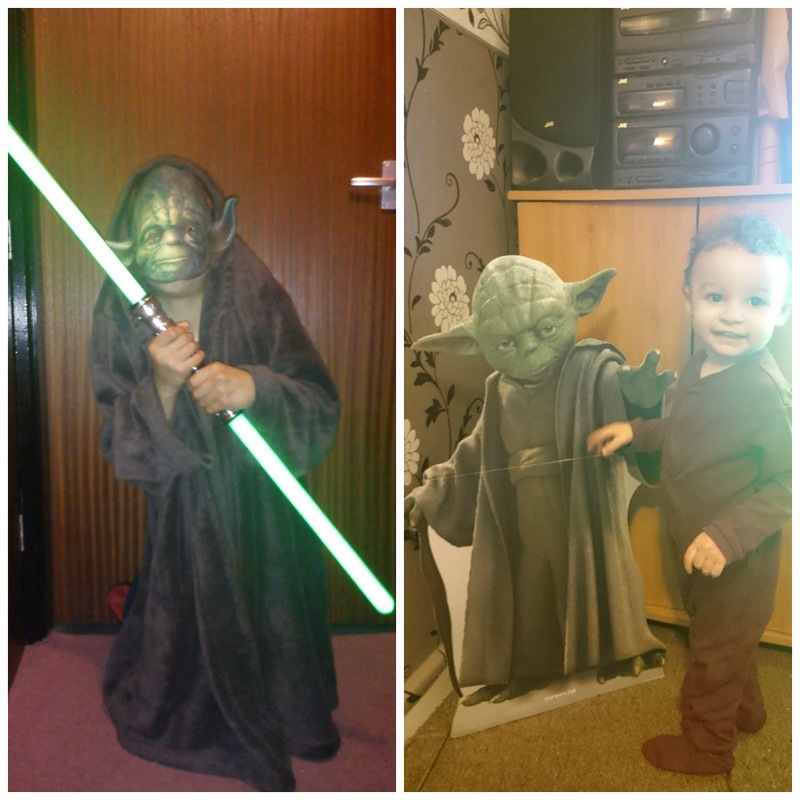 Then there are their fab new Itty Bitty's - the Itty Bitty's are a really fun range of Star Wars soft toys - perfect for your little Star Wars fans - Marley is loving his Itty Bitty toys and they're the perfect size for little hands. He's had lots of fun with them! Again, you'll find all of yours and your children's favourite Star Wars characters. And so you've got your Star Wars fan some Itty Bitty's & a card from the range, but what to give them in... Well, Hallmark even offer some fab gift bags in varying sizes too. They've really thought of everything! 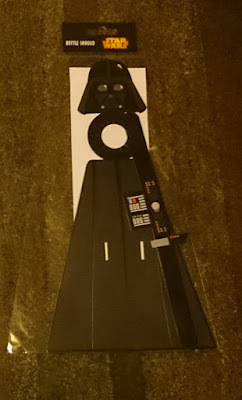 Basically, if you're a fan of Star Wars, or know a fan, you're bound to find some fantastic Star Wars gifts at Hallmark, irrelevant of if you're a fan of The Dark Side or The Light Side! I was very impressed with all the Star Wars goodies available, so fellow fans will love the gifts on offer. You can see the range on the Hallmark website and they are all available to buy at Amazon.